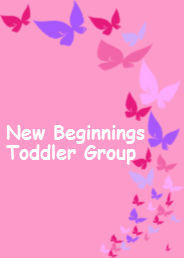 A Toddler Group for children under school age and their carers (parents, grandparents, childminders). Run by qualified and committed volunteers from the church, the session will consist of free-flow play with a song time at the end. A great opportunity for the adults to socialise and support each other while the children play. £1.50 per family which includes toys, activities and a healthy snack of milk and fruit for the children, and hot drinks for the adults.